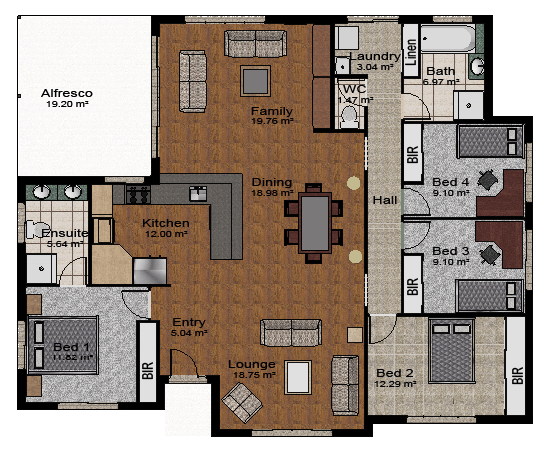 The Everton is a 4 bedroom home with a large expanse open planed living area. This then opens out into the alfresco entertainment area. The main bedroom is separated from the other bedrooms for privacy and has an ensuite with a double vanity unit. Bedroom 2 is large and great for visitors staying for extended periods.